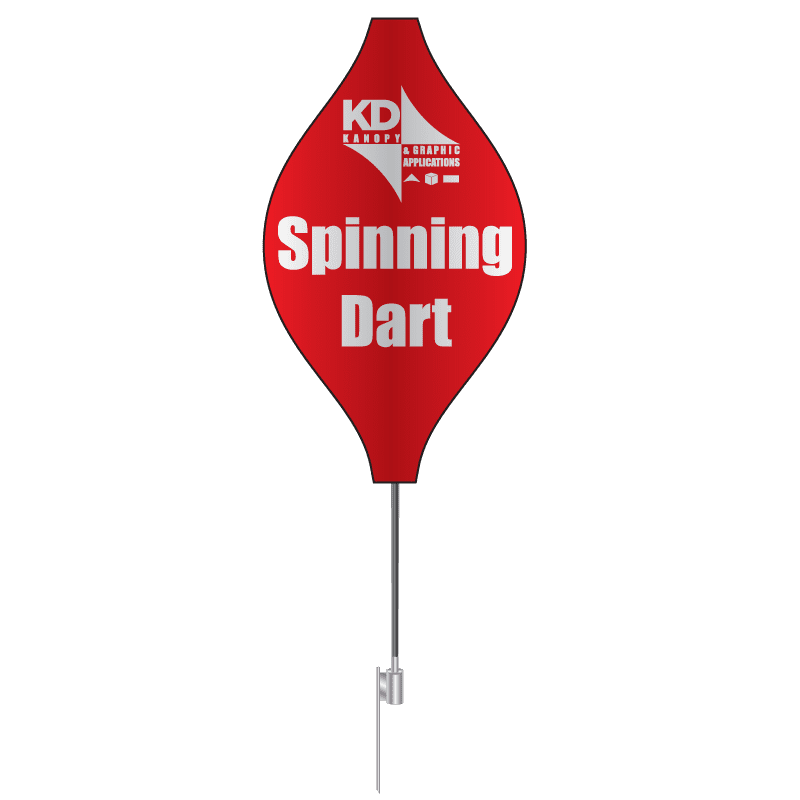 The Spinning Dart Banner is an innovatively new branding and attention grabbing banner that imitates the look of an in-flight spinning dart. These banners over three sides of high-impact subliminated imprinting on top of quality polyester fabric. Standing 8 ft. tall, these banners use the highest quality aluminum poles, and come with a three year warranty. Spinning Dart Banners come complete with their customized polyester banners, padded heavy duty carry bag and high strength anodized aluminum pole frame that is lightweight, yet incredibly resistant to damage.